On present time remote learning is the trend in numerous of disciplines that people want to learn. For distance training vitally to have simple online conference tools. For making educational process interactive you need to train via Skype and you need for this our best software tool ConceptDraw MINDMAP . ConceptDraw Remote Presentation for Skype solution makes the remote learning, distance training and webinars similar to university educational process. Also you can share presentation imported from PowerPoint with ConceptDraw MINDMAP . 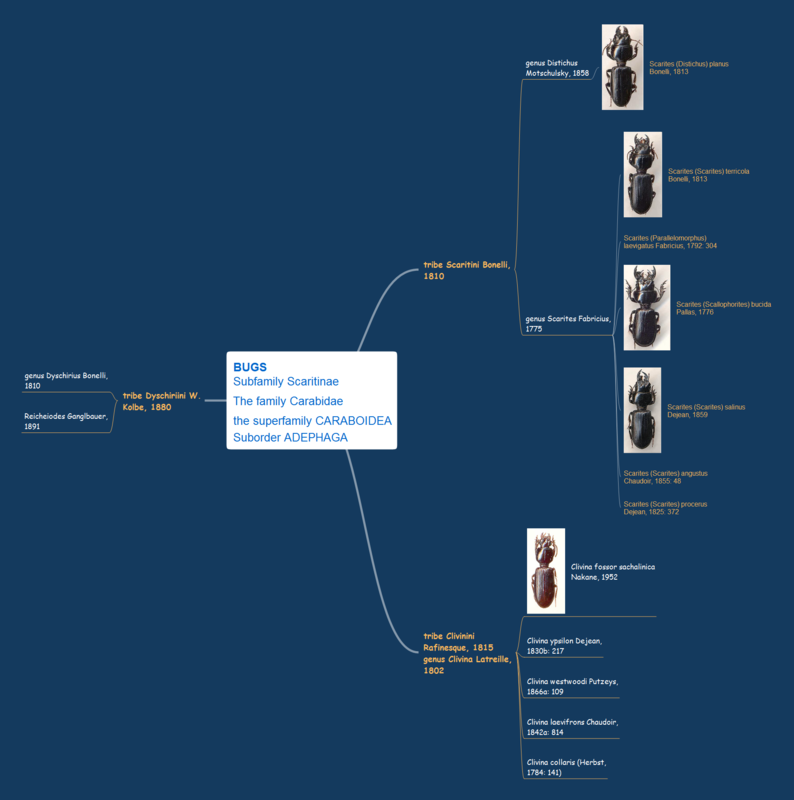 "Bugs subfamily Scaritinae" mind map sample is created using ConceptDraw MINDMAP mind mapping software. This example helps to learn how to create learning mind map presentation and show it via Skype. Use this mindmap example for implementation of Remote Presentation for Skype solution from ConceptDraw Solution Park. ConceptDraw DIAGRAM v12 saves you time and provides you with the tool that will lead to your social media success.